Water line replacements in Monroe shouldn’t have you pulling your hair out. Water line replacements in Monroe is a normal part of the job for plumbing professionals. 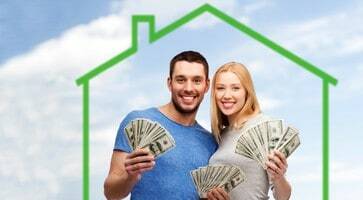 For homeowners, however, it’s definitely not at the top of the priority list. It’s not really even something on most people’s radar, as clean, running water is easy to take for granted. The kicker is when there’s an issue, that’s when you sit up and take notice. Most water comes into your home through a single water line supplied by the city or municipality. If something is amiss with your water, the tendency is to blame the city. But what if it’s not the water supply but your water line that’s the culprit? If your water line is to blame, you need to take action as soon as possible. A broken or damaged line could affect not only your water pressure but your water quality. There’s no sense putting your family at risk. Before you jump into a full water line replacement, let’s get down to the nitty-gritty of water lines and what you should know. There’s more than one pipe when it comes to getting water to your hoses, sinks, toilets, tubs, and showers. Water comes into your home through the main water line that runs underground from the public water supply to your house. There is a meter that measures how much water you use each month so the city or municipality can bill you accordingly. Once inside, the water goes through distribution pipes that get it from the main to the faucets and spigots, or the water heater for distribution of hot water. If there is an issue with your main water line, it will affect all of your water. What Are Common Water Main Problems? Cracked pipes are a common reason for water line damage. This can occur as the result of a freeze, depending on the depth of your line. It can also happen if the ground shifts due to construction, tree root growth, or just the natural settling of the soil. Broken pipes are often due to tree roots that grow outward to seek out the closest water supply. If that happens to be your water line, the roots can work their way into the pipes causing damage and leaks that can affect your entire water supply. Age can also impact the water line. If your house is more than 50 years old and the water lines along with it, your pipes are likely due for replacement, including your main water line. The pipes break down over time due to the pressure and corrosion from water. A plumber can fix some water supply issues with interior pipe repair or fixture repair or replacement, but often if you have an issue with the supply to your home, it will require repair or replacement of your water line. Since the water line is underground, replacement necessitates more than some a quick swap of pipes. The first step in the replacement process is to determine if replacement is the best option. Once established that replacement is the best option, a professional plumber needs to survey your property, the main water line location, and any trees around or near the water line. The utility company will have to come out and identify any utility lines near where the existing water line is and the new location if you are installing the new pipes in a new location. Excavation is the next step. This will uncover the existing water lines. It’s possible they will need to dig a trench during the excavation process and, depending on where the pipes are, it may affect the foundation and potentially exterior walls. Once the plumbing company excavates the old line, they will need to turn off the water heater and store extra water in the bathtub and gallon containers as the plumbers will turn off the water to your home and it will remain off for the duration of the work. The new pipe goes into the trench, generally where the old water line was. They will seal the seams and attach the lines to the plumbing in your house. This is when you can turn the water back on. Once the plumbers test the water line to ensure no breaks or leaks, they will bury the new pipes and oversee repair to the landscaping and yard. 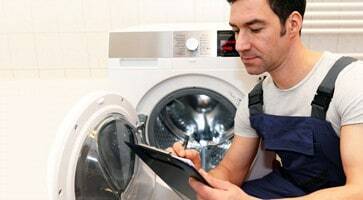 It’s vital that you hire a licensed plumber, which means they have passed a test of their knowledge before they can practice plumbing as a licensed plumber. Only hire an insured plumber. Make them provide proof of that insurance. If a worker is injured on your property and they aren’t insured, you’ll be legally responsible. Always ask for proof of insurance. It’s your protection against liability. Make sure they’re experienced and ask how many water line replacements they’ve completed. Find out how long they’ve been in business and find out who will be doing the work. Will it be the owner, an experienced plumber, or a new hire that has never done a water line replacement? You deserve to know who will be working on your project. Get a detailed estimate. You need to know if they charge by the hour or a flat fee for the anticipated work. Be wary of hourly charges. A less than reputable business can take advantage of the hourly rate by working slowly and adding on extra time unnecessarily. Ask if they guarantee their work. Does the guarantee include the pipes? Does it include the installation? Get the details so you know how they will handle issues should they arise. Water is a necessity. If there is an issue with your water line, you need to call a plumber right away. If you’ve never had major plumbing work done, it can make you feel a little out of your element when you do come face to face with a water line issue. The good news is that we are in your corner. At Anthony Wimpey, our team of professionals has extensive experience with residential plumbing needs, including water line replacement. We’re your go-to plumbing company if you feel like you might have an issue. We’ll respond promptly to assess and address your water main and will work to resolve it as quickly as possible. Contact us today for your water line replacement in Monroe.